631 Harveys Bridge Road, Unionville. Photo courtesy of Realtor.com. 1608 Embreeville Road, Unionville. Photo courtesy of Realtor.com. 100 Wyndham Hill Drive, Unionville. Photo courtesy of Realtor.com. 111 N. Village Lane, Chadds Ford. Photo courtesy of Realtor.com. 203 Sulky Way, Chadds Ford. Photo courtesy of Realtor.com. 40 Bullock Road, Chadds Ford. Photo courtesy of Realtor.com. 17 Buffington St., Unionville. Photo courtesy of Realtor.com. 1717 W. Doe Run Road, Unionville. Photo courtesy of Realtor.com. 118 Shadow Lane, Chadds Ford. Photo courtesy of Realtor.com. 413 W. Village Lane, Chadds Ford. Photo courtesy of Realtor.com. Looking to own some real estate in the area? 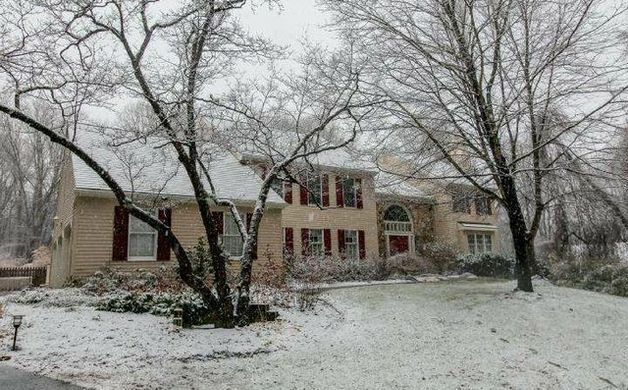 Here are 10 local houses for sale in the Lenape, Chadds Ford, Longwood, Mendenhall, and Unionville areas, ranging from $187,500 to $869,900, as featured on realtor.com. 1. 17 Buffington St., Unionville ($299,000) - This darling Unionville Village property is full of options. Currently the home is two units - owner lives in one and rents out the other. It has been one home in the past and can be converted back to one home rather easily. The owner has cleverly left an easy-to-open panel for one opening and one door to alter the floor plan back to a single family home. Behind the house is a spacious, very well constructed structure that currently serves as an art gallery. If desired, this could be used for office space or a related low-impact enterprise, or if you convert the home back to a single dwelling, zoning will allow you to convert this structure to a rental residence. 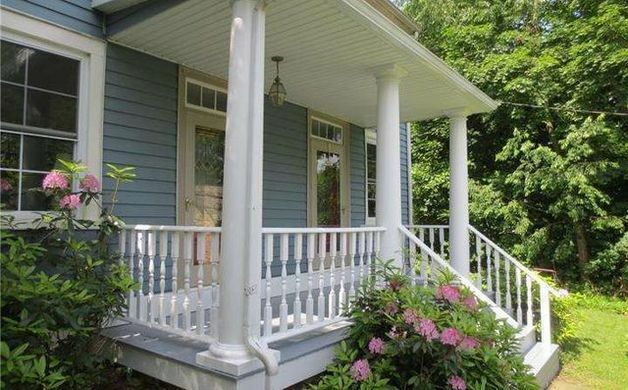 There is a lot of opportunity in this charming property! The property's setting is exceptionally quiet as it is located on a little, one way lane in the historic village of Unionville. 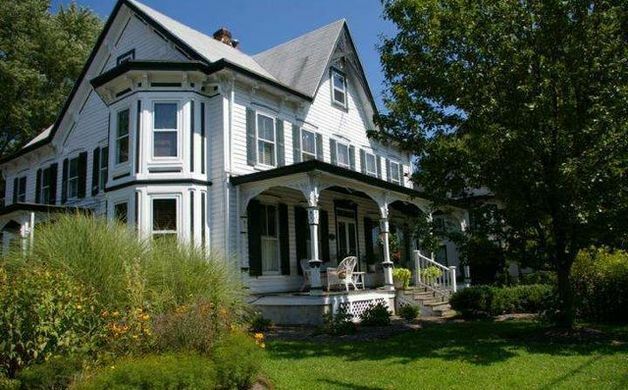 Built in 1860, the house features three bedrooms and two and a half bathrooms. 2. 100 Wyndham Hill Drive, Unionville ($869,900) - Immediate delivery on this exquisite new listing in the prestigious community of Bellefield. Over 5000 sq ft of living space on a beautiful 1.2 acre home site with wonderful views and privacy. Outstanding amenities including site finished hardwood flooring on entire fist floor. Elegant mill work featuring wide trim and casings, wainscoting and heavy moldings. Front to back foyer with lovely oak staircase. Two fireplaces. Show stopper kitchen with expansive island. Antique white cabinetry from Century. Stainless steel upgraded appliances. Beautiful bright breakfast room and family room off kitchen. Feature windows. Butlers pantry. Two powder rooms. Professional office with custom built ins Master suite with tray ceiling and sitting room. Two giant walk in closets. Master bath with Jacuzzi tub, walk in shower, his and hers vanities. Secondary bedrooms all very spacious with private access to baths. Fifth bedroom or game room. Huge laundry room on second floor with laundry tub and counter. Walk out basement with windows and 9-foot ceilings. Patio of Breakfast room. 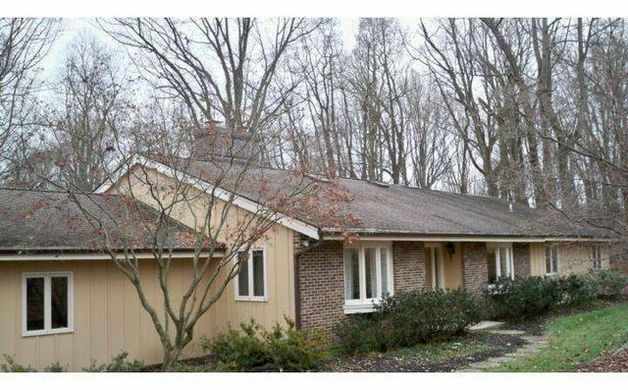 This home offers everything you need and is located in Chadds Ford Schools. Built in 2008, the colonial has a three-car garage. 3. 1608 Embreeville Road, Unionville ($780,000) - Colonial style Farm House. 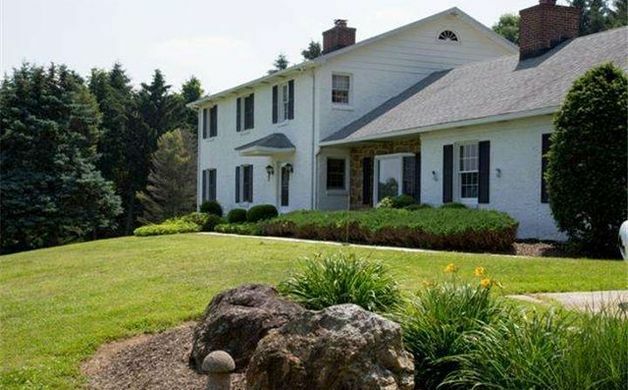 This masonry home was constructed by Chester Thomas & Sons, an established, specialty builder in Chester County. 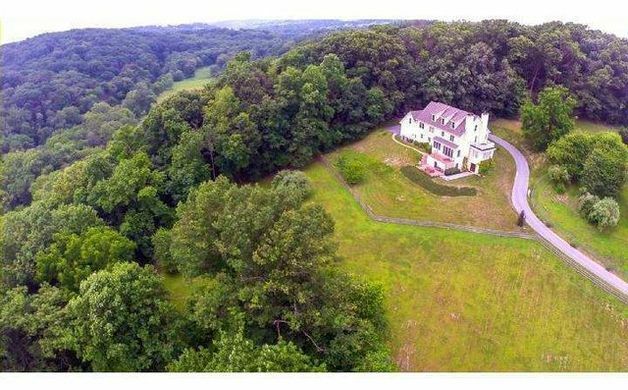 This home includes custom features, in a Private Living setting, above the historic Brandywine River with water view and equine overlook. This home is in the lap of conserved open space and building restricted lands. A one of a kind. Equestrian activities are prevalent, with many participating not only riding for fun but for sport, centered around the ultimate equestrian ride to a renowned hunt club. Fishing, canoeing, hiking, biking, and many other activities abound. 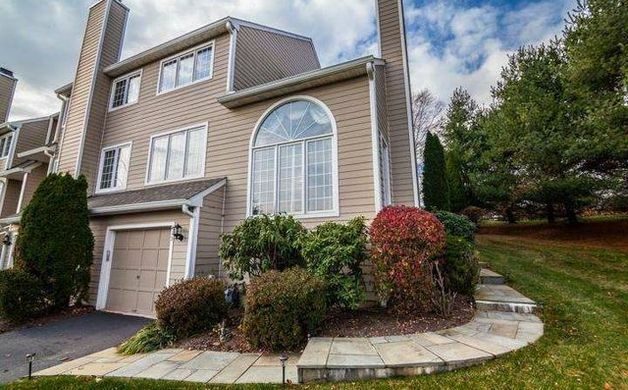 All this with quick and easy access to schools, shopping, restaurants, and transportation to nearby towns and major metros (Wilmington, Philadelphia, Baltimore, Washington, and New York) all within a reasonable commute. For those wishing multi-generational living, there is an in-law suite, with private entry (This spacious, well endowed, lower level, includes a kitchen, living room with fireplace, bath, and two bedrooms. These rooms have been included in the overall bedroom and bathroom count. (If rented this could facilitate funds for taxes and utilities). One might refer to this as an annuity. There can be alternative uses as zoning provides for small business status. This is a hidden, one of a kind, gem. A power generator to back up elect. for basic power supply, fiber optic high speed communication system, and many other options make this an ideally priced property. Built in 1971, the home features a two-car garage. 4. 1717 W. Doe Run Road, Unionville ($599,999) - Elegantly restored classic Victorian house is now available for sale in the village of Unionville. The house is filled with beautiful architectural details and is situated on a manicured half-acre lot. The property is currently divided into four residential units: a first-floor two bedroom, one bath apartment, a second floor two bedroom, one bath apartment, a third floor one bedroom, one bath apartment and a two story one bedroom, one bath apartment. There is also a three-car garage with attached workshop at the rear of the property. Opportunity to keep the property as is or to make into one residence and return it to its original grandeur. The property can also be used commercially. Built in 1880. 5. 631 Harveys Bridge Road, Unionville ($799,900) - Welcome to “Le Petit Mont” - a property unrivaled in its beauty and craftsmanship. A custom-built home designed in the traditional Farmhouse style but with the finest finishes and modern amenities. Plus more than 10 acres with pastures and woods, with Act 319 tax protection so low taxes of only $7,899. No HOA. Plus award-winning Unionville-Chadds Ford Schloos. Over the porch and into a Reception Foyer and first floor replete with wide plank pine floors. The formal dining room with millwork-paneled entry is perfect for entertaining, and the living room features a mantled marble fireplace and is adjacent to the office with french doors and walls of sun-filled windows. Bumped-out breakfast room leads into the designer kitchen showcasing three walls of framed inlaid cherry cabinets, curios, a dual-sided peninsula, paneled stove vent; granite counters; hand-laid tile backsplash; upscale stainless steel appliances; ceramic tile floors; and multiple pantries. Down the hall: more closets; a Powder Room; Valet Laundry Room with cabinets/counters/basin sink; inside access to the attached three-car garage (plus there is a detached two-car garage on the property). Spacious family room with pocket doors, custom fireplace and dual slider doors out to the gorgeous reclaimed brick Balcony with turned brick steps and iron railing down to the brick Patio - both offering views of stunning Chester County vistas. Upstairs the Master Suite includes its own private composite Balcony; two Walk-In Closets; a custom spa Full Bath with extended walk-in glass block and tile shower with skylight; Corian counters on two separate sink vanity areas; a window seat and cabinets all crafted with inlaid birch; a private WC room; and tile floors. Down the hall are three more Bedrooms all with ample closets; a Hall Full Bath with dual sinks; and a Bonus Room that could be your fifth Bedroom or Studio. A staircase up to the third floor opens into an expansive area with three dormers and windows that could become your full recreation area - Game Room, Media Room, Recreation Room. The Full Basement is walk-out to the Patio and is plumbed for Bath. Horse and animal lovers take note - the property includes a two-stall barn with covered area; run-out shed with enclosed stall; exterior electric and Nelson Waterer with auto fill and heated water; plus both an Upper and a Lower Pasture connected by a Walk Trail and those areas are all encircled by installed electric fencing. So private yet close to all your favorite towns and shopping routes! 6. 118 Shadow Lane, Chadds Ford ($469,500) - Great opportunity to live in the very desired community of Fair Hill with award winning Unionville schools. This very spacious ranch is situated on a lovely 2.4 acre lot at the end of a cul-de-sac. As you relax on the deck you can enjoy the picturesque scenery. The Living Room and Dining Room present a traditional look. The merging Family Room and Kitchen with vaulted ceilings offer a more modern design. There are skylights in the Foyer, Kitchen and Hallway. There are vaulted ceilings in the Foyer with Parquet floors that presents a grand entrance. Built in 1984, the rancher has three bedrooms, two and a half bathrooms, and a two-car garage. 7. 40 Bullock Road, Chadds Ford ($684,900) - Elegance and class combined. 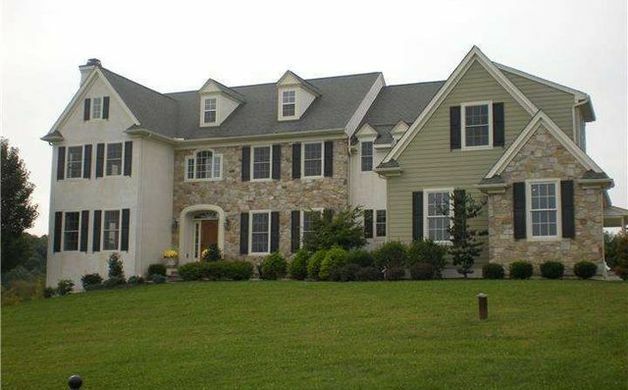 Absolutely stunning custom stone and cedar home located in the heart of Chadds Ford. Situated on a 1 acre private lot offering mature landscaping and picturesque views. This move in ready home is meticulous and shows pride of ownership throughout. Gleaming hardwoods, wainscoting, crown molding and custom shutters throughout first level. Two story foyer with oversized windows and turned staircase greet you as you enter. Living room with abundance of windows offering natural sunlight, brick fireplace and french doors leading to office. Dining room is exquisite and perfectly sized for even the largest of gatherings. Gourmet kitchen with fabulous granite island, stainless appliances, tile backsplash and sliders leading to rear two tiered deck. There is also an adorable screened in porch area located off the kitchen. Family room with vaulted ceiling, floor to ceiling stone fireplace and magnificent views! Upper level boasts a beautiful master bedroom with two walk in closets and stunning master bath offering floor to ceiling frameless tile shower, marble double vanity, soaking tub and custom built in cabinetry. Three additional generous sized bedrooms and a cozy loft area with custom bookshelves. Finished lower level is perfect for gatherings with bar area, pool table, powder room and sliders leading to lower level deck. The inground pool completes this amazing home. Built in 1987, the house features a three-car garage. 8. 111 N. Village Lane, Chadds Ford ($299,900) - Move-in condition Pond's Edge three bedroom, two and a half bath townhouse in Unionville-Chadds Ford School District. A covered front porch leads to a spacious foyer with gorgeous brand new hardwood floors that flow throughout the main level. The open floor plan lends itself to comfortable everyday living and entertaining. The expansive living room flows seamlessly into the dining area with a wood-burning fireplace. Sliding glass doors from both rooms open to a large deck with pond views. Stylishly renovated kitchen has an open half wall, wood cabinetry, brand new countertops, and new stainless steel gas stove and dishwasher. Convenient powder room, coat closet, and interior access to garage complete this level. Mid-level master bedroom suite has a dressing area with several closets and an updated master bath with soaking tub, separate shower, and a dark wood double vanity paired coordinating elegant mirrors. Two additional bedrooms and a large hall bath complete the second floor. Third floor features a roomy loft with skylights which is ideal for a home office, guest room, or exercise space. The lower level contains the laundry room, a rough-in for an additional bathroom, and walk-out access to the patio and rear yard. Fresh paint throughout is the finishing touch for this stellar townhome. HOA fee covers exterior maintenance (roof '06, gutters, siding, paint, paving of courtyard streets), common area maintenance, lawn care, snow and trash removal, sewer, exterior insurance, and management fee. Built in 1987. The garage fits one car. 9. 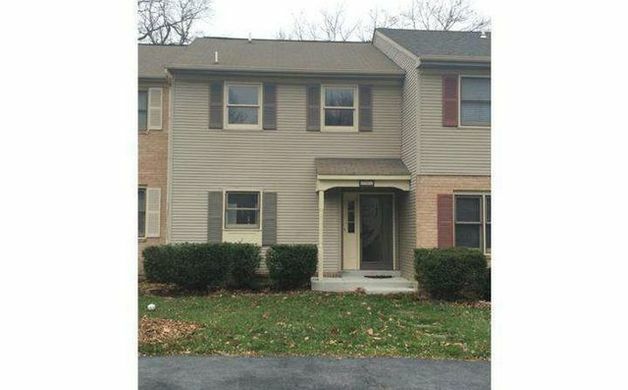 203 Sulky Way, Chadds Ford ($187,500) - Located in the desirable Trotters Lea community, in award winning Garnet Valley School District, this move-in ready town home is available for a quick settlement. Enter into the tiled foyer, which leads you either into the kitchen or down the hall into a spacious great room and dining area. From the great room, you can access the back patio and common area through sliding glass doors. A functional and well laid out kitchen boasts a built in dishwasher, refrigerator, and plenty of cabinets. You'll also find the powder room on the first floor. Upstairs, you will find two generously sized bedrooms with a Jack and Jill full bathroom, including a double sink and large vanity. You'll find a walk-in closet in one of the bedrooms and large closet in the other. From the hallway, you can access the laundry center and a nicely sized linen closet. Additional features include a full basement, ceiling fan, storage shed, and two off street parking spots. Low HOA fees, easy access to parks, major routes, and a multitude of shopping and dining. One year HMS home warranty included. Built in 1985. 10. 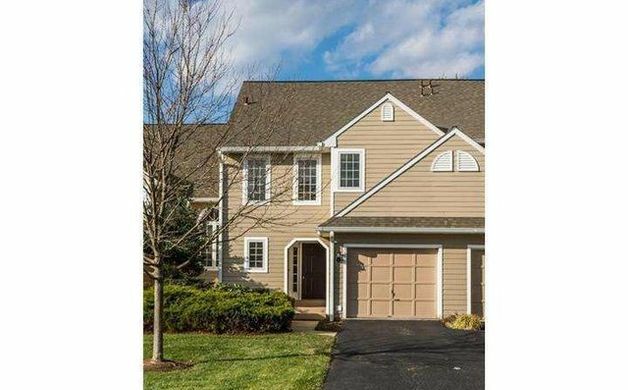 413 W. Village Lane, Chadds Ford ($350,000) - Move right into this Large Private End Unit Ponds Edge Community Townhome. One of the last to be built in this neighborhood. Large unit with 2,689 square feet. Beautifully maintained, Lots of Upgrades and ready to move right in. Main level features Master Bedroom Suite including Master Bath with double sink and soaking tub and enormous Walk in Closet; Living Room with fireplace; Kitchen with Pantry and Breakfast Room; and Powder Room. Kitchen has Subzero Refrigerator, flat top range, Corian Countertops and Kitchen Aid double oven (one of which has never been used for any meat products-a Vegetarian oven if you will). Beautiful Oak Hardwood floors and crown molding throughout the Living Room, Dining Room, Kitchen and Breakfast Room. Breakfast room has fantastic light with the skylights and slider to Private Deck. Deck overlooks adjacent large wooded area which is part of the Pennsbury Land Trust and will never be developed. Stairwell to Upper Floor has large Palladium window where you can see Chadds Ford Winery and has balcony overlooking the Living Room. Upper Floor hosts three Bedrooms and Full bath. Fourth Bedroom can also be used as Loft. Lower Level boasts Large beautifully tiled Family Room with built in bar, Large Storage Area and one car garage with inside access. Roof is two months new, siding two years new, windows four years new - all by association. Built in 1989.